Bank employees body AIBEA, which is a major constituent of the United Forum of Bank Employees' Association that has called a nationwide strike, on Tuesday said Finance Minister P Chidambaram rejecting wage demands of bank employees is "unfortunate" and the strike was forced on them. In his statement on Monday, Chidambaram had stated that entire profit made by banks cannot be utilised for paying more wages to bank employees. Reacting to his statement, All India Bank Employees' Association (AIBEA) General Secretary C H Venkatachalam said, "That is not our demand. We are merely asking for a reasonable increase in our wages, that too when banks are making good profits". Venkatachalam said that the government's priority ought to be, to take stringent measures to recover bad loans from corporate defaulters, instead of denying a legitimate wage increase to bank employees. "It is very unfortunate Union Finance Minister who is fully aware of genuine demands of bank employees, has chosen to decry our demands. Since the Indian Banks' Association (IBA) and the government did not settle our demands, the strike has been forced on us," he said. Venkatachalam expressed regrets that bank customers and the public have been inconvenienced by the strike. "We are sorry that the banking public has been inconvenienced by this strike. However, it was unavoidable due to the non-serious approach of the IBA and the government to avert the strike by improving their offer on a wage hike and discussing our concerns about banking sector reforms." He said after the two-day strike which ends today, the UFBU is always open to resolve demands through negotiations, if the IBA and government is also forthcoming. "If the same negative attitude continues, we will be left with no other alternative except intensifying our agitation," he said, adding that the UFBU would meet shortly. The 48-hours All-India Bank Strike called by the United Forum of Bank Unions comprising nine bank trade unions, representing 10 lakh bank employees and officers working in public sector banks, old generation private banks, regional rural banks, workmen and employees of foreign banks has been a total success, he said. The strike was called to demand immediate wage revision for bank employees and officers, as well as revising better pension structures of retired bank employees, besides protesting against banking sector reforms like privatization of public sector banks, granting licences to corporate houses to start their own banks, among other reasons. 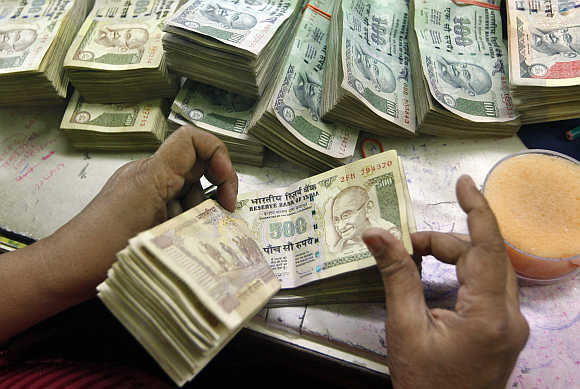 Around 5,000 branches of public sector banks remained closed following a nationwide strike called by bank unions to press for their demand of wage revisions, said Mahesh Mishra, General Secretary of All India Bank Employees Association (AIBEA).